Today, Valkyria Chronicles comes to PS4, and if you’re looking for a new strategy-RPG, you could do far, far worse. Although the folks at Sega haven’t added anything to this new remastered version of the 2008 PS3 game, they didn’t really need to. Thanks to some fantastic art direction and a really cool battle system, Valkyria Chronicles is as good today as it was back then. On PS4 it’s 60fps and 1080p and all that jazz. I’ve played a few hours now, and it’s pretty damn great. If you haven’t played the game, here’s what you should know: Valkyria Chronicles is set in a fictional version of Europe that faces its very own version of World War II. Playing as two heroes—Welkin and Alicia—your job is to fight a series of army battles that grow more and more complicated as the game goes on. You can manage your own base, run an army full of shocktroopers and snipers, and even drive tanks around the battlefield. There’s even a bit of magic, because of course there is. 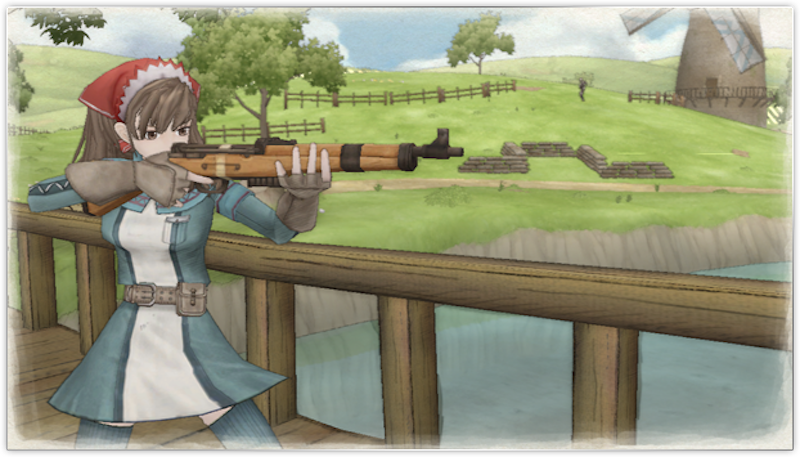 What makes Valkyria Chronicles unique is the combat system, which blends turn-based strategy with real-time gunplay. You start each fight with a top-down view of the battlefield, where you’re given a specific number of Command Points (CP) with which you can give your characters orders. Once you use CP on a character, the camera zooms down to give you their perspective, and you can then move around in real time. Each character has a certain amount of Action Points (AP) that you can use to move and attack. Once you run out of AP, you’ll zoom back to top-down view and repeat, until you end your turn or use all your CP. It’s a smart, challenging system that picks up interesting new wrinkles as the game goes on. Add the art (which is gorgeous) and the story (which has its moments) and I’d have to say Valkyria Chronicles is well worth your time.